Hardin Bourke Entertainment : ROBERT DELONG - "NHL 19" SOUNDTRACK ANNOUNCEMENT! ROBERT DELONG - "NHL 19" SOUNDTRACK ANNOUNCEMENT! Robert DeLong's single, "Favorite Color Is Blue" (feat. 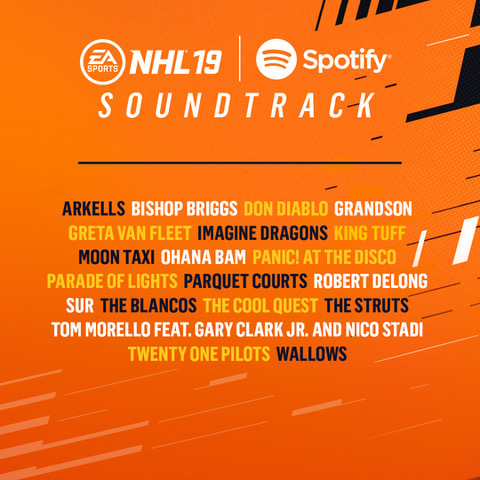 K.Flay), will be featured on the soundtrack for the new EA Sports game, NHL®19. DeLong will be heard alongside the artists Imagine Dragons, Panic! At The Disco and Twenty One Pilots.